Oh my! Just imagine what would happen if our favorite gentleman rabbit, Uncle Wiggily met all of our most favorite nursery rhyme characters. Well, imagine no more. Enjoy the adventures as you travel through nursery rhyme land with Uncle Wiggily, Mother Goose, Olde Mother Hubbard, Little Bo Peep and the rest of our favorites. 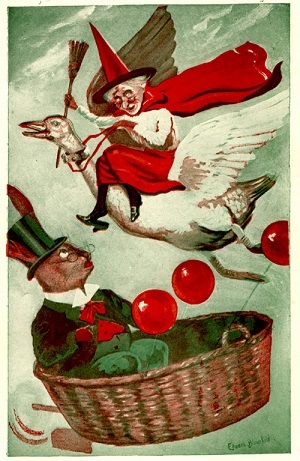 Uncle Wiggily meets Mother Goose is an interesting twist to some old favorites, don't you agree? And, that's exactly what you'll find in our newest ebook “Nursery Rhymes Playscripts”. In this ebook we’ve transformed some of the best known nursery rhymes from verse to action! Our plays are based on the well known original nursery rhyme characters and their famous rhymes. Your kids will love acting out their favorite nursery rhymes stories. 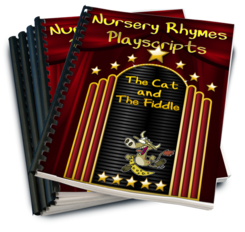 In Nursery Rhymes Playscripts ebook you'll get a total of 14 nursery rhymes plays. All stories of characters you know well, with a twist! The interactive twist that modern children really enjoy.